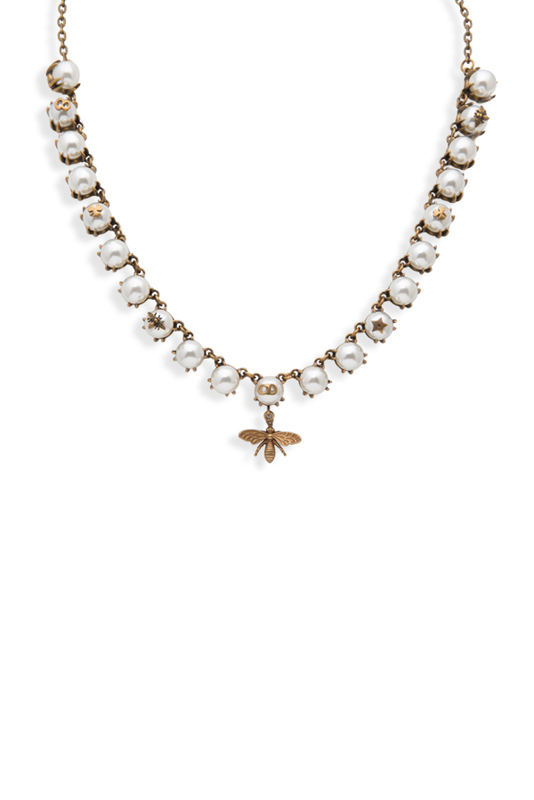 Faux pearls with gold-tone brass accents. Gold-tone brass bumble bee charm. Chain length: 14" to 17"